Looking at the 2014s, these are serious wines that are reminiscent of Stephan’s sensational 2012s (which were some of the top rated wines in the vintage). 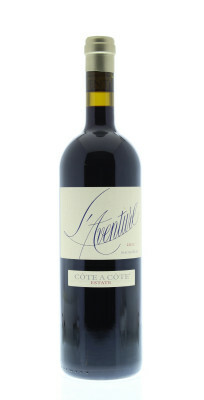 The 2014 Cote a Cote is 50% Grenache, 28% Mourvedre and 22% Syrah, all from the limestone soils of the estate L’Aventure vineyard. Deep, full-bodied, gorgeously layered and with plenty of fine tannin, this big, rich 2014 is loaded with notions of cassis, toasted spice, peppery herbs and graphite. Still backwards and tight, yet loaded with potential, give bottles 2-3 years and enjoy over the following decade. One of the reference point estates in Paso Robles is unquestionably Stephan Asseo’s l’Aventure. Located just off of highway 46, in the middle of the appellation, Stephan now producers six red cuvees: The entry level Optimus based on Syrah, Cabernet Sauvignon and Petit Verdot; The Cote a Cote based on Grenache, with smaller parts Mourvedre and Syrah.